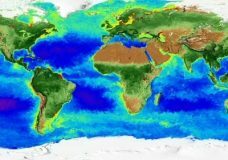 CAPE CANAVERAL, Fla. — NASA has accepted delivery of a key European part needed to power the world’s next-generation moonship. 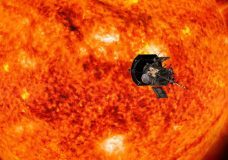 CAPE CANAVERAL, Fla. — NASA will fly you to the sun — or at least your name. 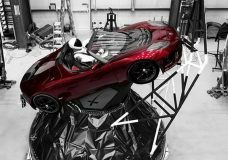 CAPE CANAVERAL, Fla. — SpaceX’s big new rocket blasted off Tuesday on its first test flight, carrying a red sports car aiming for an endless road trip past Mars. 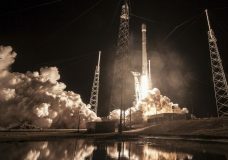 CAPE CANAVERAL, Fla. — SpaceX defended its rocket performance during the weekend launch of a secret U.S. satellite, responding Tuesday to media reports that the satellite codenamed Zuma was lost. 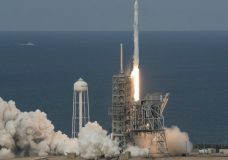 CAPE CANAVERAL, Fla. — SpaceX launched its first recycled cargo ship to the International Space Station on Saturday, yet another milestone in its bid to drive down flight costs. 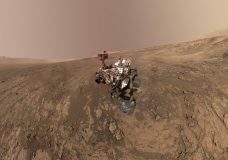 BERLIN — Europe’s experimental Mars probe hit the right spot – but at the wrong speed – and may have ended up in a fiery ball of rocket fuel when it struck the surface, scientists said Friday. 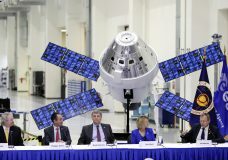 CAPE CANAVERAL, Fla. — SpaceX aims to launch another load of space station supplies for NASA, including a critical docking port needed by new U.S. crew capsules set to debut next year. 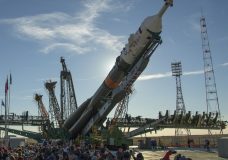 LOS ANGELES (AP) — A solar-powered spacecraft is spinning toward Jupiter for the closest encounter with the biggest planet in our solar system. CAPE CANVERAL, Fla. — NASA successfully inflated a new experimental room at the International Space Station on Saturday, producing the world’s first pump-it-up compartment for astronauts. CAPE CANAVERAL, Fla. — Last week, Mercury stole the show. Now it’s Mars’ turn.